AndrewGilmore.net: These 6 Common Sayings Actually Came from the Old Testament? Extending an olive branch means to make peace, as when God receded the flood waters and promised never again to destroy the earth by water (Gen. 9:15). The metaphor recalls Noah's dove returning to the ark with an olive leaf, demonstrating that the waters had receded enough for plant life to spring up. Also quoted by Jesus in Matthew's gospel account, the phrase is used to convey surprise when a child says something insightful. In the Psalm, David remarks at how God uses the weak to overcome the strong. Jesus referenced the passage in the context of his entry into Jerusalem wherein children shouted hosannas at His arrival. When the Pharisees expressed indignation that children were praising Jesus as the Messiah, Jesus quoted the Psalm. In essence He was saying, These little kids recognize that I am the Son of Man, but you who are supposed to be experts in religion can’t recognize it. Sometimes also appended with “for tomorrow we die,” eat drink and be merry expresses dismay at the brevity of life. Since our time is short, we should enjoy it. The "tomorrow we die" phrase comes from Isaiah. While pleasure as intended by God is good, pleasure in defiance of His word is sin. God wanted Israel to humble itself in the face of the impending invasion of the Assyrians. Instead the nation refused and embraced revelry. Israel stubbornly held on to its merriness rather than turning to God for forgiveness. Jesus and Paul also quote the phrase in Luke 12 and 1 Corinthians 15 respectively. Used to communicate something of little impact or importance, the prophet here contrasts nations—which might seem large and powerful—to God who is infinitely grander than any government or island. 5. 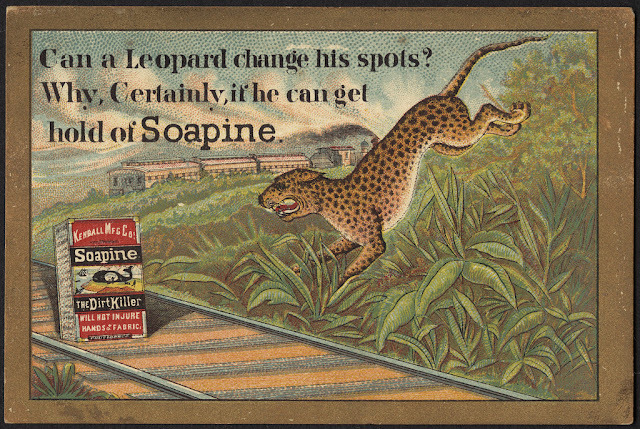 Can a Leopard Change Its Spots? Can anyone change their nature? That’s the message Jeremiah gave to Judah who had turned from God. Notice the second phrase is not a question, but a statement. God here is telling Judah they were so accustomed to sin it had become natural to them, like ones skin color or the spots of a leopard. The writing on the wall means something dreadful is about to occur. In the context of the scripture, Babylonian King Belshazzar profaned God by drinking from the gold and silver goblets that his father, Nebuchadnezzar, had removed from the Jewish temple upon sacking Jerusalem. In conjunction with the misuse of the temple instruments at a raucous party, Belshazzar also took the opportunity to worship false gods. During the drunken festivities a hand appeared, writing three words on the wall. Exile and prophet Daniel interpreted the writing to mean the Persians and Medes were coming to kill Belshazzar and take the kingdom from the Babylonians. If you’d like to dive even deeper into the Bible, you might enjoy my guide to the Old Testament called How to Read Through the Old Testament Without Getting Lost or Dozing Off. You can get it for free today, just tell me where to send it! This list is nothing more than a drop in the bucket (see what I did there?) when it comes to language borrowed from the Scriptures. What others come to mind? 1. The Oxford Dictionary of Idioms, ed. Judith Siefring (Oxford: Oxford University Press, 2004), 104. Etymology of words and history of idioms are quite interesting to me. Thanks for sharing these phrases from the Bible. #4 is a new one to me. You're welcome! I love those things too. I'm always thinking about words and their origin.